There is an interesting phenomenon when we are in the middle of stressful situations or we are being intensely triggered by something: time crawls. Not only does time crawl, but our need to react or engage is off the charts. Every minute feels like hours, and we have a massive craving to do something. We need to do it, and the longer we wait (during these dragging minutes) the bigger the craving. Well, I guess I can't just say we have a craving to do "something." We usually have a craving to do something hurtful or just plain stupid. It makes complete sense in the moment. Yet, rarely do we crave ... oh, I don't know ... meditation. Or a nice walk. Or simply not engaging or reacting. We're leaning more toward yelling, throwing, crying, calling names or making sweeping life decisions. Like, moving to the Virgin Islands. In my parenting, I have found myself in situations where a child is doing everything in their power to engage me. Sometimes I have tried everything in my playbook (muddling through Dan Hughes' PACE: playful, accepting, curious and empathic) and yet they still spiral into a cycle of yelling, raging or non-stop questions with everyone stuck in a space and held hostage. It feels impossible to survive. Your blood boils. Sometimes you are not able to leave because of others in the house. How the heck do I survive these situations? Then, I determine if someone is being emotionally assaulted. I am the grown-up, so I have the life experience and wherewithal to withstand and survive verbal assaults much better than other children in my home. If I need to move siblings to a better space, and maybe turn on a radio or TV for them, then I will relocate them for the sake of their own hearts or healing. And finally, I wait. Without engaging. Easy, right? Heh heh. Sure. As easy as putting together a piece of IKEA furniture in 15 minutes (read: impossible). Here is how I wait: I look at the clock and say to myself, "I can survive this for 15 minutes without doing anything. I can get on my laptop or grab a deck of cards for solitaire or something. But I can just not engage for 15 minutes." Here is where some of you are rolling your eyes at 15 minutes. Trust me, I understand. I know that rages and shouting matches and arguing can go on for hours, especially with certain types of mental illnesses. But I can't think that far ahead when I'm writhing in my own frustration and anger. I have to take it in small chunks. I make up games in my head (if they are screaming the same sentences over and over, I mentally add "in bed" to the end of them). I take pictures with my phone and play with my editing apps. I message friends to catch up. I can't write for pleasure when I'm in that state, so I just focus on being busy. Ohhh, wait. Almost forgot the most important part. You then do the 15 minute thing all over again. And if necessary, again. Then again. And ... yup ... again. Eventually, it settles. Eventually, the therapeutic parenting interaction is actually something that can be slightly effective. Eventually, you will no longer want to slam your head into the wall. I'm saying this because no matter how many times I write honestly, no matter how many times I admit my own humanness, there is always someone who thinks this is somehow easy for me. It's not. I hate it. I've never liked it. I like helping other parents because I hate it so much and I know painful it is to do it alone. I laugh and I joke to keep from crying so much. I try to help others do the same. Helping hurting kids is hard. It is very, very, very, very hard. 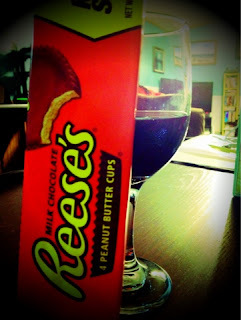 I'm also having wine and Reese's peanut butter cups for dinner. King size. I am coming to steal your wine and reese. I will not engage...I will not engage...I will not engage when the child thinks the whole world is against him, when he thinks all of us hate him because of the choice he made..I will not engage when he is "stressed about his future"..he is young, does he really need to be stressed that he is going to be old and alone? ?I will NOT engage...Thanks for letting me not be engaged in the battle. uggggg...it didn't work...I guess I need a bigger glass of wine. Right now I got told "you don't know what its like to have a family hate you" I really am at a loss..
umm. what about the whiiiiiiiining. Not the good kind. throw that into the mix and..... oh my shut the front door my only therapeutic response is to collapse in dissassociation. Somehow I'm thinking its not considered 'therapeutic'. You are meaning ful christine. thank you for keeping going. truly. Good thing there's plenty of wine! Thanks for sharing this amazing blog! Great reminders. It is stinking hard. STINKING HARD! I'm still learning to do nothing. My kids are all still learning to let me be the mom, that pestering their siblings ALWAYS has a bad outcome, and when I say "get out of Dodge" I mean it! Go. Go NOW! It's also very hard when everyone feels like they're being held prisoner by the crazy one. And sometimes we are. We did the disengage thing for 2 hours on Saturday while the rager went on a rampage because "I bought him the wrong shoes" and he'd tied the laces in knots. NOTHING worked...not even The Hulk (me with our Hulk garb on) singing Christmas carols along with the radio, wearing pj's and dancing in front of the window. The obnoxious Hulk finally took some of the edge off the rage, but even that rediculousness wasn't enough to dispell it. For the sake of everyone's sanity, the hubs and I finally got said kid in the shower, did all the scrubbing for him...you know, so he could finally be compliant and start the process of settling down and sobering up. He then spent some time in his room with the alarm on and finally fell asleep. We let him sleep for quite a long time just so we could all regain our wits. I seriously thought I was going to lose my mind, my patience, and my cool...and I very nearly lost all of them. Oh wait. I did lose my cool. After said kid was finally dressed, he came down with shoes on and tied correctly snuggling his stuffed toy like a toddler. I was so less than impressed and so not therapeutic in my response. I can totally talk myself into checking email, reading a newspaper, etc... while waiting it out.... BUT (you knew it was coming lol) my particular kiddo isn't content to let me 'ignore' him in this way. Insert cover my reading material, cover my computer screen or read it over my shoulder, and when that fails, cover my eyes and/or push into me with his head and/or body. That is the difficult part for me. I firmly say "You may not push me like that." But, he doesn't stop. Anyway, thanks for the reminder! It is hard and you are amazing to hang in there, 15 minutes at a time. I was so proud of my patience tonight in the throes of feeling sick and not wanting the girls to know until my final button was pushed and I found myself saying intensely (at least I didn't yell), "I worked so hard tonight to take good care of you and you are not helping me at all!" You can bet that set my little one straight and she went right to sleep. Not. Thank-you for helping me to feel less alone, and you're right, 15min. is the maximum length of time that I can deal with at nearly any moment in my day! Thank you. I struggle not to try to fix it, make it better, get sucked into the control freak vortex. This is an excellent reminder, although as someone else said, not a hope my son would not physically disrupt attempts to actually do anything such as check emails. Wait! It's okay for me to hate this? Nobody says I have to LOVE being therapeutic. Whew! Thank you, for being REAL and reminding me "small bites". I can do this for 15 min. I know that's right. When you blog about it, sometimes you see the progress - but often you just see the day in and day out with slow progress and periods of regression. It's unrelenting sometimes. Still, Daniel Hughes's approach, as long as I can stick with it, helps me feel relatively okay about myself as a mom. Bracing self for holiday shenanigans. And the dreaded birthday season. I am a teacher, and this year (most years?) I'm addressing some pretty seriously challenging behaviors ("need to remove the other kids from the room" kinds of behaviors). I read this post last night. Today, remembering what you wrote helped me through some difficult moments in my classroom. "I can just NOT ENGAGE for two minutes. Now I can NOT ENGAGE for two more minutes." The more I read your blog, the more I think this whole therapeutic parenting business has some good gems for teachers of hurting kids as well. ooooooh! nice new blog template (does that reveal how long it's been since i've commented). #1 - have you seen the new 0.5 lb reese cups that are out for christmas? that CAN'T be good for you. But I'm still going to put one in my hubby's stocking! !